Blatella asahinai (germanica?) 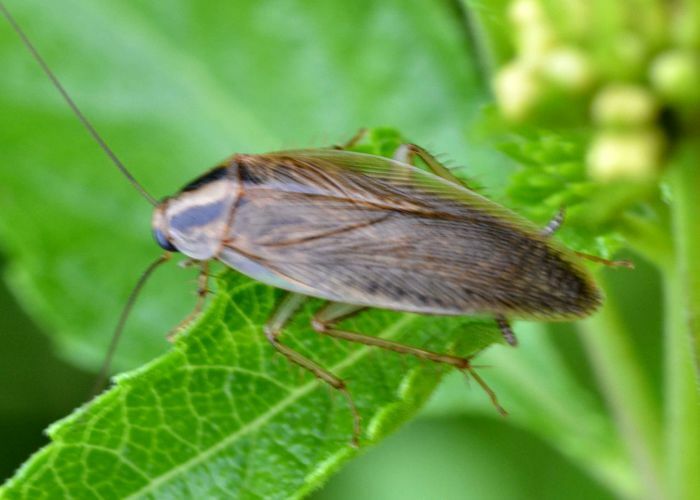 (Asian Cockroach). Size: approx. 20 mm. Photo: 07/23/11, 7 pm. German and Asian Cockroaches are difficult to distinguish and can hybridize. However they differ in behavior. 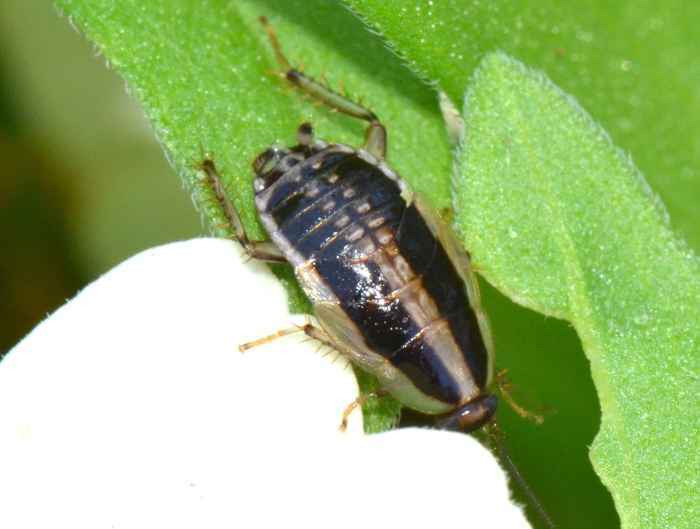 Nymphs (small photo) of the Asian species live in ground cover etc. ; adults readily fly and are most active at the beginning of sunset. In the US, B. asahinai was first reported in 1986 but has become common in Florida.